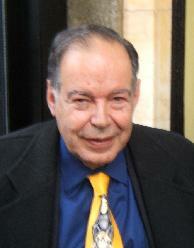 Edward de Bono was born in Malta, his beloved island he still lives in today. An island from which he started studying a long time ago at St Edward’s College toward a graduation in Medical Sciences from The Royal University. He then joined Christ Church College in Oxford UK, where he took lessons in Physiology and Psychology in order to get a Doctorate in Medicine, to which he added a PhD from Cambridge. The research he conducted at that time brought him to the development of new concepts such as Lateral Thinking, Perceptual Thinking, Parallel Thinking, and many other tools in the domain of the Creative Thinking that have been much acclaimed since then at an international level. The author of more than 65 books, his publication on Parallel Thinking, also known as "The Six Thinking Hats" have been translated into 27 languages. A remarquable result for a science and an art that have not still acquired their ultimate denomination, even if Lateral Thinking has already made its entry into the Oxford English Dictionary that acts as an official reference book within the Anglo-Saxon world. Better known in the economic world and the world of corporations than in the French academic humanity departments, Edward de Bono has been since a long time the organizer of seminars with prestigious corporations such as IBM, NTT, Du Pont, Prudential, Ericsson, Shell or even Ford, adding to this purpose more than 2 millions miles of flight, among which it is worth noting an exceptional record of 250 000 miles on a single year. Today a hundred thousand engineers and millions of school children are using his methods on an daily basis, especially in the USA, Canada, India and in China. The consulting firms that take advantage of his methods are numerous in the world, even if French consultancies knowing about Creative Thinking at the moment are just a handful... Fortunately the consultancy network Minding International, which aims at diffusing advices and training on the DeBono Methods, has recently open offices in Paris on the rue de Rennes. This explains why between a flight from London where his offices are and a departure to Malta where he regularly lives, we have had the great opportunity and pleasure to meet with Edward de Bono at Café de Flore for a "not only literature" interview at breakfast. This meeting has been organised by Daniela Bartoli, President of Minding Intl. Paris and Stephanie Ceccato, Marketing Director of Minding Intl. Paris, two top executive women that Edward de Bono affectionately presented as his «Bodyguards». Edward de Bono you are a much acclaimed consultant worldwide, but here in France just a few specialists know about your methods and most don’t know you personally. How would you depict yourself for our readers? Edward de Bono : The question for me is : «where do people put my books»? Psychology sector, Humanity, Philosophy, Business? The facts are that I am a "Thinker", which is not the same as a Philosopher. So, there is no real category to classify my books... I teach in Dublin and elsewhere but "Thinking" is not yet recognized as a Faculty, even if today Universities like Princeton or The University of Arizona appointed me with a "Professorship of Thinking". So, I definitely describe myself as a "Thinker". How did this "DeBono Thinking" all start? Edward de Bono : Well, It was very unusual. My backgrounds were in Medicine, a field where I did research on lungs, respiration, kidneys which led me on a more general level to concepts of self-organizing systems. I also did some psychology at that time which brought me to applying these concepts of organization to the brain and in the many domains it was good at, leading me to meet in 1969 with a physicist working on Quarks. My theory was based on neural networks in the brain. Somehow it was a different approach to questioning the way the mind works. Classical psychology looks at the description of actions, not the systems! Psychology is just a description! So the general background is behavioural thinking. My ideas were much more related to the operations behind thinking. How do we act and reconstruct: Argo, ergo, erigo... which is different from the Cogito ergo sum from Descartes. So this led to the concept of "Operational Thinking" which is useful in any activity and can help a small group of people to get 2500 ideas in just one afternoon. Have these new ideas been well received in the community at the beginning? Which community was it? Edward De Dono : When I wrote my first book it was not about Business. But the most interest came from the Business Community, which was essentially oriented toward bottom lines, reality and results. In politics you have to defend yourself so why would you be interested in thinking? On the contrary executives have to create and realize so they are interested. Example with the Pentagon: When the Pentagon had its first Creativity Group, politicians were not interested but military officers were. Same thing for the Y2K Committee for which they brought me in. I am not a US citizen. So, clearly people who need results have been interested and this trend keeps going. What about these interested clients: Corporations, Private enterprises as well as Governments? May we list some of them? Edward de Bono : Among the clients we have had are Shell, Exxon-Mobile, Petronas, Microsoft, IBM... In the retail Zegnia, Magrotto (Hugo Boss) and many other firms... On a more political level we advised the Cabinet Office in England, Henry Kissinger in the USA, have had economical meetings with Alan Greenspan during the Clinton Administration, have had gests meetings in Montana with Commonwealth countries, meetings with the Swedish Defense Academy, meeting with the Foreign Office Committee of the Polit Buro in Moscow and did marging notes for which Gorbatchev had his own copy. During the time of the Peterstroïka the soviets were reading de Bono. In France, Minding International has developed in just a couple of years its own list of clients: Bouygues, Rolex, Sanofi Aventis, Masterfoods, Nestlé, just to name a few, shown interest in Minding’s creativity and innovation workshops at a very early stage. Other on-going projects that Minding France is currently handling prove that the mentality in France is changing, slowly. Edward de Bono : Lateral Thinking came first, then Perceptual Thinking in a way, and then Parallel Thinking, also known as “The Six Thinking Hats”. For this very last one you can find a translation of the book Parallel Thinking from the Editions d’Organisation in Paris under the title: Les Six Chapeaux de la Réflexion. You said a group could get 2500 ideas in a single afternoon. You also said the bottom line to be of some interest in the business. So could you illustrate the output and the return on investment of your methods? Edward de Bono : For instance MDC in Canada did carefull costing using the "6 Hats method". The first year they saved 22 M$. Another example in Norway: they had problems with their oil rigs and were loosing money day in day out. A thinking group tried for 3 weeks to solve the problem and came out with no real solution. They asked me to join in and we got results in 12 minutes and saved 10 M$. Another example that has become very famous was with Shell Oil. It was related to drilling. As you may know when drilling down, it is done horizontally, top get more oil. Today it is fact... but back in 1971 it was very unusual. I made that suggestion. The problem was not only related to horizontal drilling but also to Lateral Thinking. You can run out of petrol but not out of thinking. The Shell example reminds us of a few concepts that were of common use in the Energy sector such as Operational Research and Systemic Approach. Are your methods directly related to theses well known techniques of Problem Solving? Edward de Bono : There is a big problem in the USA which is due to the fact most people regard "Thinking" as "Problem Solving". That is a danger. Thinking is not only solving but creating, innovating. If you see any situation as a problem, don’t be surprised if your thinking gets limited and gives answers that make the problem be a problem and not an opportunity. And if there is no problem at all, why should you restrict yourself to wrong and right wheras you can find new ways? A very good example is the problem with pensions. It seems to be a very common one in every democracy. As we know it, no politician has come out with any good answer so far. However, any careful examination shows that there is no problem at all except a problem of the democracy itself: nobody wants to tell workers to pay for the pensions of others and no one wants to explain that saving is a risky task. If you don’t recognize the problem at first you cannot work on finding the adequate solution. But to find new ways you must think differently. Most people learnt how to deduce one thing from the other and draw conclusions from the information. That is not enough. To create you must go forward and induce. Does it means that professionals specializing in Problem Solving are somehow... stupid ? Definitely not. Only arrogance is stupid. During the AMCF meeting we have been introduced to the concept of dilemma which seems to be the key to the resolution of problems. How your methods, which are not the problem solving tools we’ve mentioned, relate to this concept? Edward de Bono : Dilemma is linked to confrontation. Confrontation is a way of thinking, but it is weak. You might describe things as a dilemma but you need to draw a way forward. Random juxtaposition of oppositions is my method. And "Trying" is one way of doing that. But if it is fundamental, it is not the only part of the creation process. When it comes to scrutinize the very core of the methods we easily imagine most independent consultants to be very exited. But what about big consultancies? Did they try to rely on your methods? Did major consultancy companies asked you to train their teams? Edward de Bono : Yes it happened. For instance TCS (Tata Consultancy Services) for which we have had 30 corporate trainees who internally trained more than 60 000 consultants with the DeBono methods. Deloitte & Touche and Ernst & Young asked us to give training to about 1200 of their consultants. We also lectured to top McKinsey executives in Germany and KPMG but not directly trained their teams. Training consultants has become the fashionable way to diffuse new ideas. Do you give labels to trainees? Edward de Bono : At Deloitte & Touche and Ernst & Young people trained are now officially accredited to teach the methods internally. In 1992 we started to train accredited consultants. We provide coaching and 2 to 4 different courses which each takes 4 days. Many people believe creativity is a holy gift. But creativity is a skill anyone can get and improve. Some can do it better but everyone can do it. It is the main point. Intelligence is not innate. It is an ability of the brain that we can train as you can improve your driving speed. Edward de Bono : we have worldwide ½ a million children trained in schools. China decided to support a project. In India we have 55 000 schools teaching the methods. In Venezuela it is part of the public schools curriculum . In Canada 55% of schools use it. The tools are also taught in Sweden as well as the USA. But Europe lags behind. The problem in France is that the emphasis is on "Analysis" and that "Thinking" is thought only through analysis. It is not enough. In life you need to design, deliver and finally give value. You must rely on the 4 sides of a square: Information/Knowledge/Experiment ; Judgment/Analysis/Logics ; Design/Value/Delivery ; and Creativity. So far we have discussed the methods in term of creativity. What about the strength of your methods in term of "Prediction" and what help can we get out from it in term of "Prospective Consulting"? Edward de Bono : I would say «in term of opening possibilities». And not in term of «proving possibilities». These methods can help very much in getting scenarios, evolutionary schemes and trends. Consultancies and strategists would greatly take advantage in using these methods in simplifying their decisional systems and in helping in the development of new products and new services. But the problem with the consultants is that they are best at analysing but not on thinking or in constructing processes. In term of analysis they act as a mirror. If the mirror is a grand mirror and a good mirror and shows you things you are not aware of, it can help you very much to improve and filter the danger in term of benchmarking with other companies for instance. But that mirror cannot help you making something new. And as all consultants act as an identical mirror they propose the same thinking. Even if consultants have the experience of dozen companies they all come from the same schools with the same way of thinking. Schools are their limit. So our methods can help not only the consultancies to improve their strategy consulting but also their creativity to deliver better value to their clients. What might be your next steps in implementing your methods and your next projects? Edward de Bono: Humanity needs a more operational thinking. In any school, any college and at each University we need to learn Thinking. Which is a very different topic from mathematics and a much more fundamental one. In most schools in Europe 25% of the time is spent on mathematics and only 3% on practical life. We need 15% spent in "Thinking". Edward de Bono: Democracy is not good at producing new things: if you propose something new, you get attacked right away. Who are the people that go into politics? Lawyers, teachers, journalists, engineers, architects, doctors... because they can move back once they are elected. So when thinking of democracy, we must start by thinking of setting up a "Council of Thinkers", separate from the government and one that will never criticize the government but should be able to propose and test solutions with approbation through television poles and things like this. This was done last December in Serbia, where the very first Council of Thinkers was inaugurated. In this process what might be your next publications? Edward de Bono : My new book, "Design for a new religion", will be out next June... It should be more linked to the way of life. So far no religion has taken into account "Humour" because it is linked to achievements... Humour is based on «thinking differently». It will be the central idea of the book. To summarize what you said during this pleasant interview and to pinpoint your ultimate synthesis of the topic, what might be your very last words for our readers?